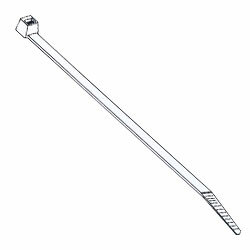 Bundle and secure wire and cable, these cable ties are engineered and manufactured for maximum performance quality. Perfect for applications that demand extra strength, mounting, releasable, identification features and more. 1000 ties per package.